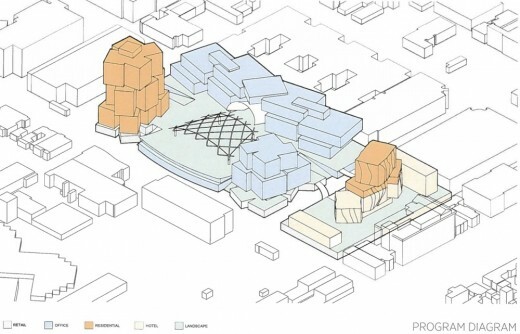 Frank Gehry’s unsolicited plan for Beverly Hills mixed-use campus awaits city council agreement. 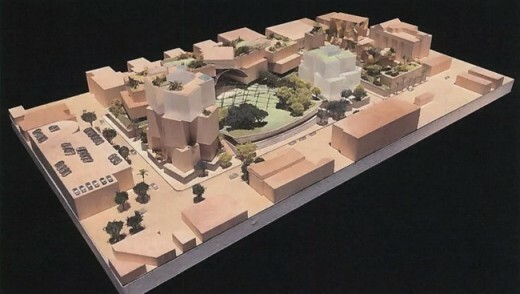 The City Council has directed staff to plan a series of public meetings that could decide whether a development designed by world-renowned Pritzker-prize winning architect Frank Gehry will end up in a 6.5 acre area in the City’s Industrial/Entertainment District, east of City Hall, reports the Beverly Hills Courier. The proposed development would include 500,000 square feet of entertainment, media and tech office space, 150 residential condominium units, 50,000 square feet of neighborhood retail and restaurants, a 3-acre park and a 180-room five-star hotel. 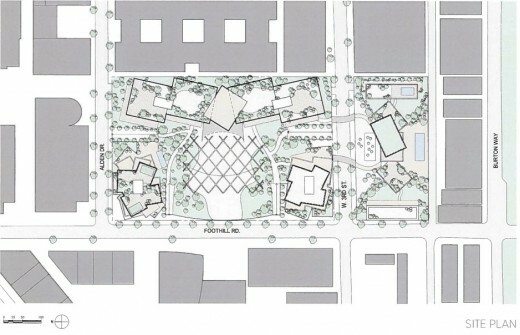 The proposed development would have about 500,000 sqft of office space geared toward entertainment, tech, and media tenants; 50,000 sqft of “neighborhood serving retail” space; 150 condos; an “elevated” three-acre public park with a dog park and a concert venue; and a five-star hotel with 180 rooms. The design focus is centered on iconic exterior architecture, floor to ceiling glass, private controlled entrance and reception, and many great corner office exposures. This building will be the jewel box that any top tier entertainment firm will be thrilled to call home. 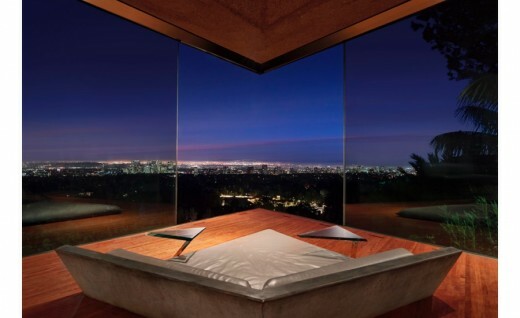 Gehry and Townscape are working together on a similar project on the Sunset Strip, where their huge 8150 Sunset project will dramatically alter the landscape at the border of Hollywood and West Hollywood.